Noel, 20, was selected by Chicago in the fourth round (#113 overall) of the 2016 NHL Draft. He posted 24 goals and 26 assists in 52 games for the Saint John Sea Dogs of the QMJHL last season. He added two goals and seven assists in 18 playoff games for Saint John as well. Prospects Noel and defenseman Luc Snuggerud were injured during training camp. Snuggerud has already been cleared and assigned to Rockford. Rockford kids doing well. JURCO 1 goal, 3 assists. Highmore 5 points! Time to call up JURCO and VINNY. 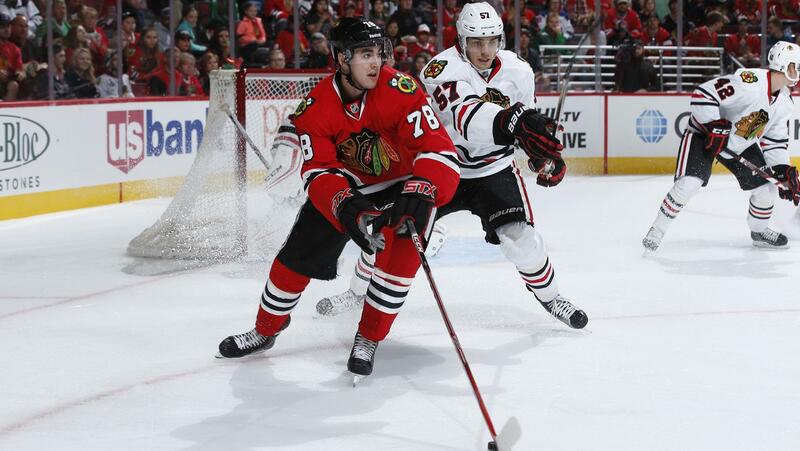 Send Debrincat to AHL, nice player but way too small. Everyone tonight saw the BLUES lean on the Hawks using their size and speed. No contest! Bowman has been in denial since 2015. The CUP teams had speed, size and were able to play hard against SAN JOSE, ANAHEIM, LA and St. LOUIS, not these teams. Hartman is a good 3rd line player not a 2nd line left winger. Nice to see and hear EDDIO O!!!! 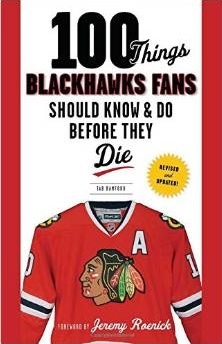 Hawks look too slow so addiing Jurco and Vinny would help. If we can trade Anisimov, Debrincat, Murphy and Forsling for Evander KANE, then we have something. Totti, please tell me you’re not serious. Making line suggestions is fun. If you cannot take it and have fun, then I suggest you find another mindless hobby. And if you played hockey or know anything about hockey, then give your own suggestions. This is what Committed Indians is all about. Nothing wrong with looking at the facts. Hawks have been outclassed and dominated on the road every game this season, for the past two seasons actually, for the same reasons they lost in the playoffs last two years: lack of offensive depth, size and speed. And with the loss of Hammer, the D line is worse. The Pens have stuck to their identity every year; lots of speed and skill on both ends of the ice… Of course, it helps with MALKIN and CROSBY in your lineup. Having DeBrincat in the lineup this early in the season is not what the HAWKS need. That is why I would give Jurco 10-15 games on left wing in top line and move up Sharp. And Vinny was on the team last year and has more impact on a game then #12 at this point. So Dave and Okie, chill and have some fun. And Okie, you cannot be SERIOUS if you think this lineup or crop of players, yes some talented, have a remote chance in winning a cup??? Therefore, build the team with speed, skill and SIZE!!! And if you want to blame someone for not having new material, ask Bowman. God bless Stan Makita and Eddio O!